Friends in Christ Lutheran Church, 1338 Clay Street, Morris, IL 60450. 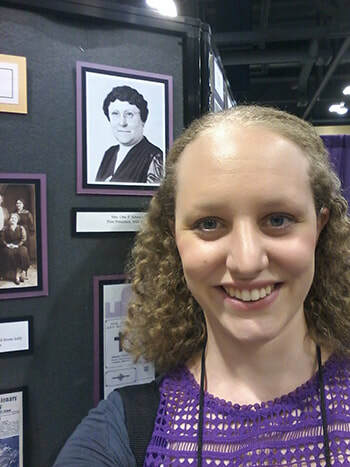 ​Nicole Boeder is the great, great granddaughter of the founding president of the LWML, Clara Schmitt. Nicole has was a missionary teacher in South Africa for two years, for the 2013 and the 2014 school year. She has also been on several short term missions including a mission to Poland, and several to Guatemala. She has also gone on a medical mission to Kenya in 2016 with her husband Daniel who is studying to become a physician. Nicole is currently teaching kindergarten through second grade at Concordia University, Springfield, Illinois. She is a graduate of Concordia University, St. Paul. Nicole and her husband Daniel (a medical student, soon to be a resident) have a two year old boy named Digory. Nicole will be talking about Young Women in Mission and sharing her experiences in the mission field. Our ingathering collection will be for Iglesia San Pablo: Escuela Misionera (School for Missionaries). As you will recall, Iglesia San Pablo is one of our Zone 7 members and does a fantastic job in training their members to become pastoral leaders of new church plants. Women of the Word meets the first Wednesday of the month, alternating between 10 a.m. and 7 p.m. The picture, left, is of ancient Mites like the one the widow put in the offering in the temple. LWML collects our Mites to help with missions here and across the world.